Nature's Wave Inc. is pleased to present Devon & Murray Scott of Scott Land & Cattle, Alberta, Canada, speak about their positive results of adding Boviglo Vitamin & Mineral Supplement to a Molasses Lick Tank, for their Beef Herd. 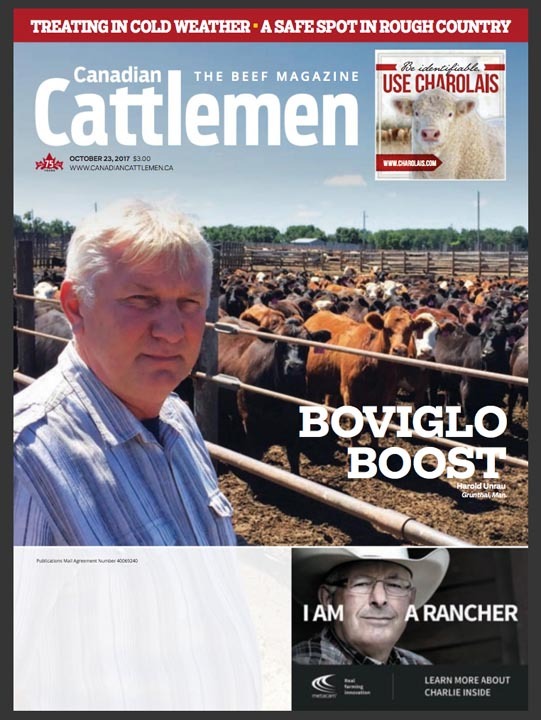 Boviglo is currently being featured on the cover and in a great article in the Canadian Cattlemen magazine. Learn all about the benefits of using this all natural liquid vitamin & mineral supplement for beef cattle health management for calves, heifers and bulls. Click the image below to download the article.